Mailing jobs have dwindled, thanks to companies that increasingly rely on email. To make matters more challenging, most mailing work was automated years ago. But don’t despair –– it takes some sleuthing, but you can find legitimate mailing jobs that that allow you to work from the comfort of your home. Find out what other businesses, such as printers, charge for mailing services. Then, be prepared to charge competitively –– usually less than a quarter per envelope –– for printing the labels and stuffing, stamping and sealing each envelope. Set up a space in your home so you can store each client's envelopes, enclosures, address labels and stamps in preparation for quick assembly. If you have a printer, learn how to print labels, letter and envelopes, as this allows you to charge more per project. Companies may only pay a few pennies per envelope for services that do not involve printing. Start calling or emailing companies that send direct mail as part of their sales efforts to express interest in handling their mailings. Approach real estate agencies, busy boutique stores and marketing or advertising firms to see if they or their clients need mailing services. Offer your services to local printers who get requests from clients who want hand-stuffed or hand-addressed mail. Talk to wedding and event planners to see if their clients want someone to handle their invitations and thank-you notes. Search online classified ads, such as at Craigslist.org, that feature ads from businesses that need someone to handle mailings. 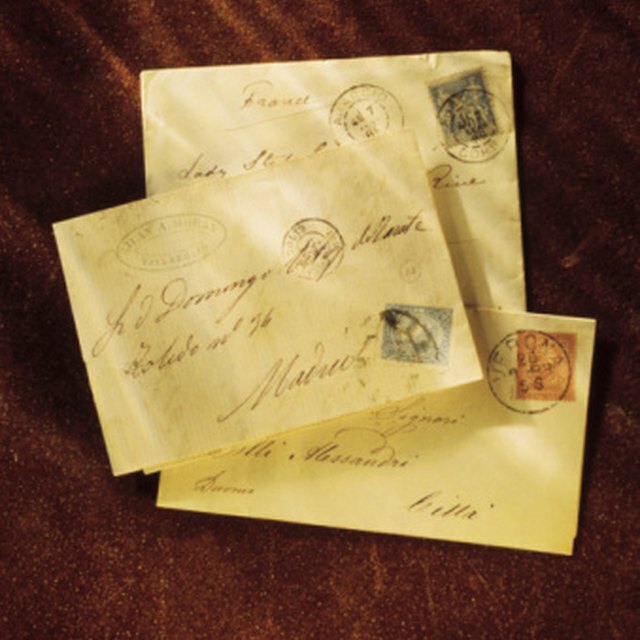 Since more envelopes are opened when they’re hand-addressed, occasionally companies put out calls for people with legible handwriting to address envelopes. Be prepared to show your clear, legible handwriting if that’s a requirement. These types of projects typically pay a few cents more per envelope, since they require more time than simply stuffing, labeling and stamping. Watch out for ads that ask you to click on a link to get more information, as these are typically scams. Instead, use the email address or phone number provided in the ad to contact the business to express interest in doing the mailing. Ignore advertisements that promise to send you a list of companies that have mailing jobs once you pay a processing or supply fee. Anytime a company requests money in exchange for a list or an actual mailing project, steer clear, as it’s a scam. These types of businesses don’t give you mailing work. Instead, they make money when you pay a fee to find out that you, too, can make money by placing the same ads asking people who need work to send money to get a list that doesn’t even exist. If the advertised mailing jobs sounds too good to be true, question it. To determine the company’s credibility on a website that seems to be offering legitimate mailing jobs, look for contact information that includes an email and street address as well as a phone number. Determine if the company is an established business by reviewing its About Us page and looking up reviews about the business online. The promise of big money should make you suspect a scam, as mailing jobs rarely pay more than pennies per envelope. Forbes: Are Work-From-Home Jobs Legitimate?